3-number combination lock design, do not need keys. Inside storage area measures: 2 by 5.6 by 9-inch, large enough to store a handgun. Diversion safe - This strong and compact steel safe is ideal for safely storing money, passports, jewelry, handgun, and more! 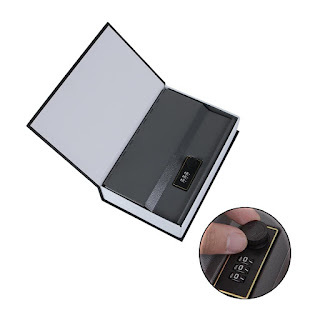 Ohuhu Dictionary Diversion Book Safe with Combination Lock is wonderful! 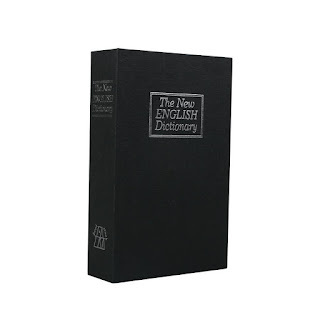 I showed the Ohuhu Dictionary Diversion Book Safe to my husband and he asked me why I bought a dictionary so I can say that it definitely looks like a dictionary and blends right in with other books on the shelf. I love that I have a safe place to store my belongings and know one has the slightest clue. Best of all is that it has a combination lock just in case someone does happen to find out. Ohuhu Dictionary Diversion Book Safe with Combination Lock is a wonderful product and I highly recommend it!